A roof restoration service can save up to 67% the cost of full roof replacement and extend the lifecycle of your commercial roof by 15 – 20 years. It’s not typically a leading solution that roofing contractors discuss with building owners as a significant portion of the savings come from less labor to install. There is also a tax incentive for owners to consider the roof restoration as the service qualifies as a maintenance expenditure vs roof replacement which falls under the capital expense. Another aspect of the cost savings comes from the labor and disposal fees to tear off an existing roof and replace with a new one. In comparison, the roof restoration has minimal waste that is generated. You’re basically taking an old roof and making it new again, providing an impressive lifecycle for this maintenance repair. 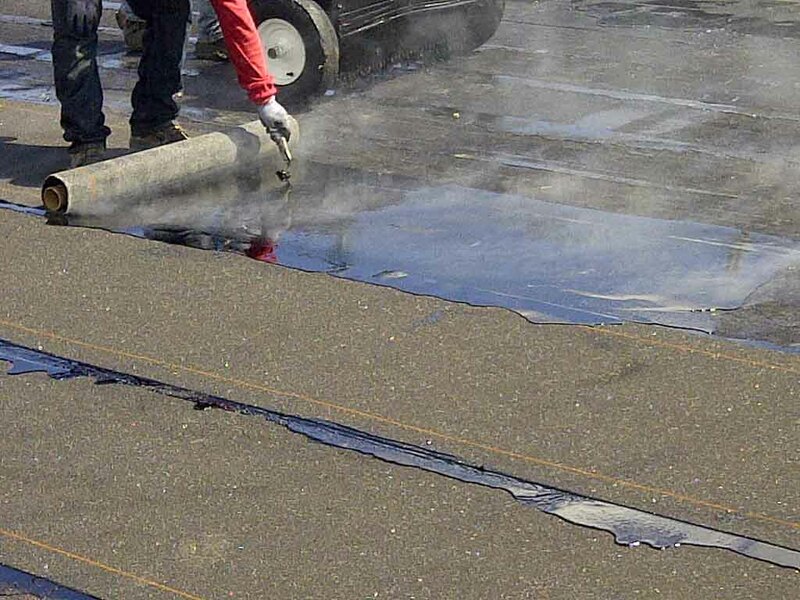 Unfortunately, if a commercial flat roof is well beyond its lifecycle then the restoration service is simply not an option, There are two important steps to qualify if a commercial flat roof can be restored: The results of the infrared scan service will also help determine if the roof would qualify. Of course, if a significant portion of the roof system is wet then it would not make sense financially to consider a roof restoration. As part of the roof inspection, you should expect a core cut test to be performed so that the full roof system can be determined. 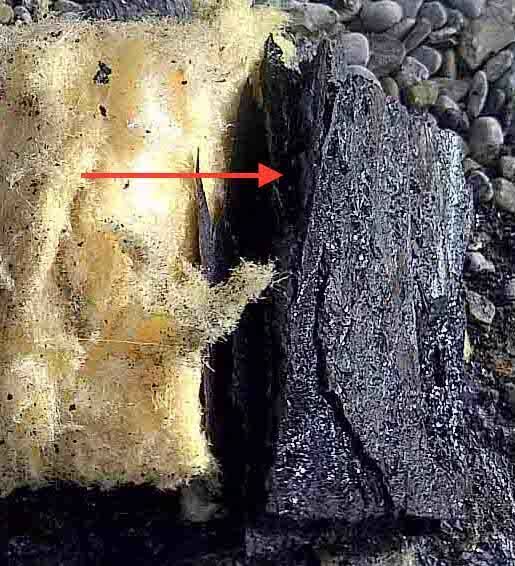 The core test provides valuable insight to the overall condition of the roof membrane. Furthermore, it will also validate the type of insulation and r-value you can expect from your building. There is no standard when it comes to insulation and over the years many different types of insulation have been specified in new building construction. For example, phenolic insulation, which was used quite frequently throughout the US & Canada during the 70’s and 80’s (due to its greater thermal resistance), has been completely discontinued and is not used in new “roof” construction anymore. If your roof has phenolic insulation then your options for roofing solutions in future are limited to only one, which is full roof replacement. Understanding your options up front can help determine the operating budgets that will be expected. When it comes to restoring a gravel BUR roof system the first thing you will need to do is have a thorough roof inspection performed. 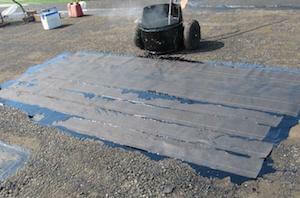 The roof inspection should include a core test to analyze the overall condition of the roof membrane. 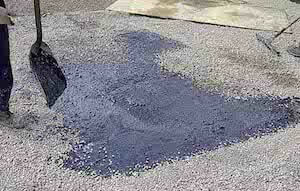 This is imperative to determine if the roof qualifies to be restored. 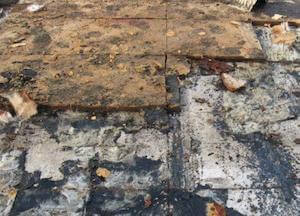 Ideally, you’re looking for the roof membrane to be in “good” to “fair” condition. Moreover, this means the adhesion between the plies of roofing felts is still bonded and there is flexibility left in the unified membrane. 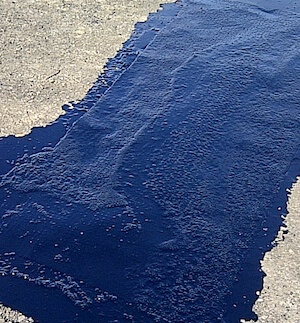 If the roofing felts are separating or brittle then the roof would be considered in “poor” or “failed” condition. At this stage, a roof is too far gone to consider the restorative service. The infrared scan will analyze the roof for areas of insulation that is holding moisture. These areas need to be marked and would be noted for removal. The roof system in these “wet” areas would need to be removed completely down to the building deck and replaced with a comparable roof system. 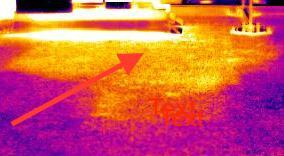 The thermal scan will detect any wet insulation, which then can be removed as part of the roof restoration service. 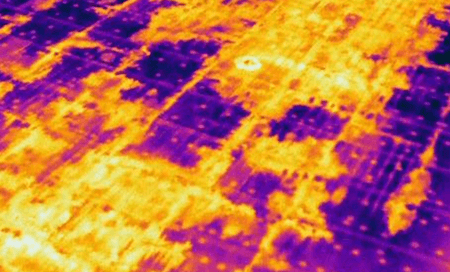 The results of the infrared scan service will also help determine if the roof would qualify. Of course, if a significant portion of the roof system is wet then it would not make sense financially to consider a roof restoration. Great! You’ve potentially just saved yourself half to three-quarters the cost of installing a new roof system. What’s next? The first thing to consider is seasonal timing. 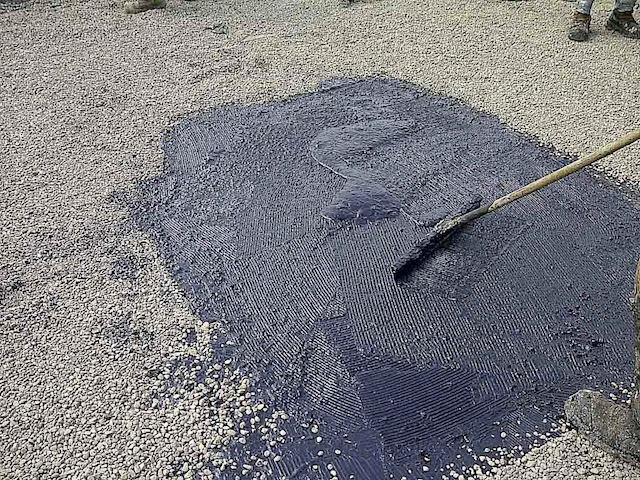 Generally, the material used for a gravel flat roof restoration is applied at optimal temperatures from April thru October. At least for the climate based in Toronto and surrounding areas. 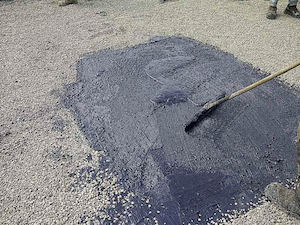 All gravel is removed and deficiencies reinforced by installing a modified membrane for strength in preparation to receive the restorative coating over top. A revitalized roof membrane that will withstand the pressures your commercial building will endure for many years to come. In many cases restoring your roof at the right time can potentially add 20 years additional life to your existing aging roof. The restoration service will divert a large amount of waste going to your local landfill, which can also benefit your building working towards green initiatives. Ultimately, it will save you money and provide a great return on your investment. 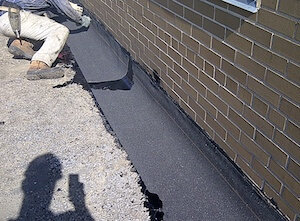 If you would like to learn more about our flat roof restoration service, please contact us.